Home | St Clears Tourist Information and pictures of St Clears, Carmarthenshire, Wales. St Clears sits on the banks of the River Taf in the county of Carmarthenshire in South West Wales. St Clears sits in a landscape of rolling hills and open valleys and the town has a sense of community spirit more akin to village life. The town boasts a good variety of local shops including butchers, craft centres, and several pubs / restaurants. As a holiday destination St Clears has a range of Bed and Breakfast, self catering accommodation and campsites. 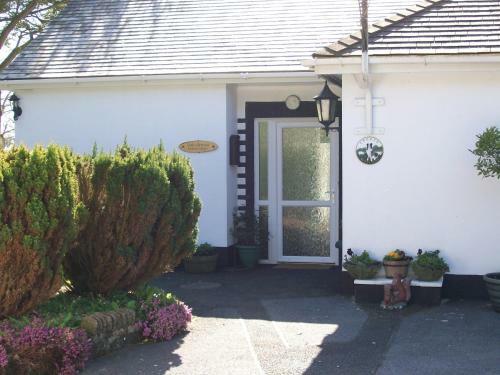 It is within an hour's drive of the two National Parks of the Brecon Beacons and the Pembrokeshire Coast. A 5 minute drive from St Clears gets you to Laugharne and the "Boat House" of Dylan Thomas fame. History shows that a castle was founded here in the late 11th century and the town played an important part in Welsh history. The site of the motte and bailey castle stands proud at the confluence of the Taf and the Cynin rivers (or is it the Dewi Fawr). By 1153 it had been seized by Rhys ap Gruffydd. According to writer Giraldus Cambrensis, it was later captured by twelve English archers after they murdered Rhys. However, in 1189 it was seized by the Lord Rhys, who passed the castle on to his son Hywel Sais. In 1195, it passed to William de Braose II, and it was later seized in 1215 by Llywelyn the Great. After Llywelyn it fell to the English again, when it was captured by William Marshal, earl of Pembroke. It remained in the hands of the English until 1405, when it was captured, along with Carmarthen Castle, by Owain Glyndwr. In 1406 Glyndwr was surprisingly defeated at St Clears and forced to give up his invasions on the castle. 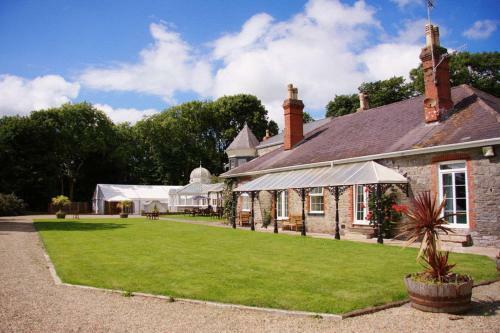 You may make an instant secure hotel or cottage reservation close to St Clears. Hotel and cottage availability and letting rates are confirmed online prior to booking. Simply click through to the accommodation page, choose a suitable property, check availability, including dates of stay, to confirm the exact room rate and reserve the accommodation.